Yes, you read it right. I made approx Rs 25,000/- from Flipkart Affiliate in just 30 days and below you can see the proof in my Flipkart Affiliate account Screenshot. 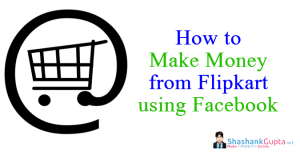 In this is post I will share with you how I made this money from Flipkart and how you can also replicate the same success step-by-step and make money from Flipkart affiliate for yourself. Flipkart is a leading ecommerce company in India and offers variety of products from clothes to electronics, all under one roof. I am sure most of you might have ordered something from, or at least browsed through Flipkart’ shopping website; at one point or another. So far you might have know Flipkart only as a way to spend your money, now let me show you a way to earn money from Flipkart. 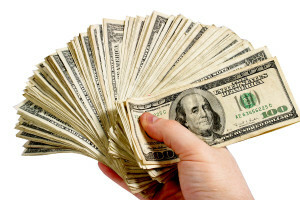 YES you can earn money from an online shopping site. There are various ways how you can earn money from Flipkart and I will share all of them with you in this post. I make money from Snapdeal Affiliate too, click here to know how to make money from Snapdeal Affiliate. This post is for both types of users, those who already have a Flipkart affiliate account, and also those of you who are complete newbie to this game. For those of you who don’t have a Flipkart affiliate account, check step 3, where I have added a detailed step by step video explaining how you can create your own Flipkart affiliate account. After watching that, all of us will be on same page, so now that all of us have a Flipkart affiliate account, let’s jump into the game. There are two ways by which you can make money from Flipkart. Have something to sell, put it on Flipkart. Yes you too can sell your products on Flipkart. By product I don’t means household items. For selling those, you have olx.in. Here I am referring to those of you who are interested in being a businessmen/businesswomen. There are two ways to find what to sell on Flipkart. 1st is if you already have a product, which you manufacture or make yourself, like handicraft items, clothes, jewellery, fashion accessories and much more, then Flipkart is the place you can sell them. 2nd option is for those who don’t have any product of your own, procure something! There are tons and tons of products out there that are selling at cheaper prices elsewhere, you can procure these products and them upsell them on Flipkart. Once you have procured the item, you can set your own selling price for it, and add it to Flipkart. This is a cool way to make money, since you will not have to spend anything at all in promoting your product. Flipkart will manage all the advertising. I have helped individuals in making 4 figure profits from their sales on Flipkart. If your product clicks with the audience, sky is the limit to your earning potential via Flipkart. As Flipkart has huge range of products, it has classified its products into categories, like electronics, books, clothing… and so on. Affiliate commission of each category is specified by Flipkart from time to time. The commission percentage can be found in your affiliate account under commission tab; usually it ranges from 1% to 15% of the selling price. Your interest can help you determine which products you will be most comfortable promoting. If you have interest in particular category of products you should choose to work with them, as you will have more knowledge and experience with them. 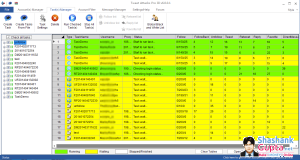 This will enable you to sell those products to others too. E.g. If you have interest in fashion, work with clothes, accessories, and similar categories. Your expertise level in your chosen categories, will impact your success. If for example you choose to work with electronic gadgets category, you should have technical expertise, so as to know and understand which product is better than other, and how it can help buyers. This will enable you to convince more buyers about buying the product. Once you have decided the category/categories you want to work with, we are all set to start the money making process. But first, you will have to invest some resources in order to maximize your Flipkart affiliate earning potential. Step 1: You need a blog, or website through which you can reach out to maximum buyers and thus maximize your sales and earning potential too. Other option is to take an opposite approach, wherein your domain name has nothing to do with what it contains. Under this approach, you can choose a domain name as your name (like I have done), as something you love (kiteflying.com), something that would strike a chord with readers (freshideas.com) etc. Step 4: Once you are done with domain registration; now you need a good blog Hosting services, you need to be very careful while choosing hosting services because if hosting is down this will directly affect your income, hence never go with a cheap hosting plan. I have done research on hosting providers and suggest the below providers as I use them and I am happy with their services. Hostgator has this one click WordPress setup button; you can use it to set your blog. Step 5: Next, you will need a theme for your website/blog. There are many free wordpress themes available; you can install whichever you like. Step 6: Install SEO Plugins which will help in onpage SEO. Step 7: Once your blog is ready, you need to start posting content on your blog/website. Gradually as you accumulate on the number of post, and keep working on promoting your blog; you will find your blog traffic will start improving. As the traffic grows so will your chances of earning from it. Soon you will discover that you are making sales via your Flipkart affiliate account, and before you realize you will be celebrating your first income from Flipkart. I have shared some of the tips which I used to make Rs 25,000/- in 30 days. Apply them to your website/blog and see your success grow manifold. Below are my Tips on How you can quickly start making money from Flipkart Affiliate Program. 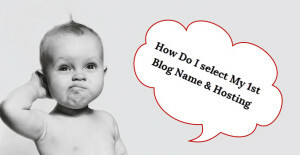 Make a niche blog, focus on single category only. Run Google Pay per Click ads for your blog. (Remember that as per Flipkart Affiliate Terms & Condition, you cannot run PPC Ads bidding on trademark of Flipkart.com or any variation or misspelling of any trademark of Flipkart.com. Hence don’t run ads for Flipkart products) But you can run ads for your blog & product reviews which you have written. In most of the cases, people check for reviews when the plan to buy the product, hence when they come on your site to check the review, there is high chance of you getting that affiliate sale. So make sure you have review articles on your blog/website. If not a niche blog create a Price comparison website, where people can compare price of a product from various vendors like Flipkart, Amazon, Snapdeal etc. 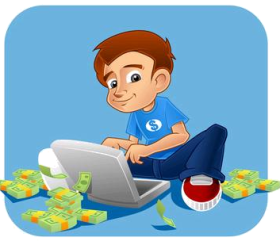 This is very popular concept and companies are making huge affiliate income through this method. Create a Coupon & Discount website, where you provide discounts coupons to audience which is looking for it. How this works? Flipkart issues discount coupons for various products, which buyer can redeem when he makes a purchase and gets the discount. If you can collect all those coupons on your website and offer it, people would like to buy that product from you as you are offering them that coupon code. And this will add income to your Flipkart affiliate account. This is a very important tip, once you create your blog; focus on building high subscriber base. The more subscribers you have, the more visits you will get for your blog post and the more money you will make via affiliate program. You will start making money once you follow these tips however to achieve high ROI, you need help of SEO. You will have to learn more about SEO and you will have to get some authority backlinks for your site or blog to make it rank higher in Search Engine. Run Paid Promotions for your blog during festival season like Diwali, this will generate additional traffic for your blog and will in turn help you make good amount of money from your affiliate account. Hope above post helped you; don't forget to leave your comment below.